Retail has been through unprecedented change in the last decade. With out of town shopping becoming more popular, supermarkets moving into so many non-food categories, and of course the internet which is still growing at 40% per year, to be successful as an independent retailer today requires a degree of flexibility and business ability. In this environment having the right information quickly to hand often makes the difference between successful and poor decisions. How is our Multichannel EPoS Equipment different?  Intelligent Retail are specialists in this market, and we understand the needs of independent retailers for specific information as well as support on specific retail tasks. This is why our software is the best EPOS Equipment in UK. Our software provides you with complete control over your business. Not just that, we also provide you with proven solutions to help drive more revenues and effectively manage the operational aspects of your business. Our software has been designed especially for the independent retailer - which means that it is perfect for you. We also provide consultation services so you can see exactly how our solutions can help you address many potential issues and take your retail business to the next level. Unlike the wide variety of EPOS Equipment in UK that you will typically find, ours is different. We at Intelligent Retail understand that too much information is just as bad as too little. That&apos;s one reason our management reports are designed to provide you with easy to understand information - in graphical and illustrated formats, or in specific detail - so that you can always make smart and informed decisions at the click of a button! If arranging and managing your marketing campaigns is an uphill task you&apos;ll find our EPOS solution wonderful. Our state-of-the-art EPOS Equipment in UK is perfect for successfully managing your marketing campaigns. Through this multichannel system, you can now run your promotions across all channels using the single customer database you can copy email addresses or postal addresses to use in any campaigns you wish. You can choose to advertise a promotional discount and then watch customers redeem them in the shop or online! You can even issue gift vouchers and allow customers to redeem them in your store or online. Thus you&apos;ll find that promoting your business gets easier day by day. In the four months since we have the system it is already keeping costs down, it&apos;s fantastic. We are so impressed with the Connect Retail system, we all think it&apos;s brilliant! It&apos;s absolutely brilliant!